The Hawaii Life Military Specialized Team is here to serve our Oahu military community. Whether you are PCSing to Hawaii and looking to purchase a home, or you are getting ready to move off the island and you are looking to sell your home, we are here to help! When you work with the Hawaii Life Military Team on a purchase or sale of your home, you can count on having the whole team behind you during the entire process. While in most times, you will work with one Realtor at a time, if needed, the team members are always ready to step in to help. When you hire one of us, you hire a team! This ensures that your BUYING or SELLING experience will be as seamless and stress-free as possible. BUYER SERVICES – Count on us to assist you with your home purchase process from start to finish. Our team partners in escrow, title, lending help to facilitate the purchase transaction, and to make your Oahu home or condo purchase process enjoyable. We understand that PCSing to Oahu, often sight unseen, is stressful enough. Let us provide you with local knowledge and real estate experience to make your Oahu home buying experience one that you will remember for a long time to come. When the time comes to move, we will be happy to assist you with the future sale of your home. We work with amazing local lenders who provide direct lending, great service, timely closing, and most importantly verified pre-approval letters (where buyers’ credit and a preliminary income verification is already made. Huge difference from just a pre-qualification letter that is solely based on verbal verification only.) They offer 30-day closes and may pay for some of the seller’s traditional expenses such as termite inspections and any needed HOA/Condo documents. All this will strengthen your offer to the seller. In a competitive marketplace, every detail matters. The VA offers can be more challenging in a competitive marketplace and we use all the tools necessary to help get our clients’ offers accepted. We use professional transaction management teams for every transaction, and folio updates for transaction timelines. SELLER SERVICES – Put your feet up an get ready to get pampered! Well, not literally, but when it comes to home selling, we have you covered. The cold, hard truth is that a real estate license doesn’t always make for a good real estate agent. Real estate is a complex profession that often requires years of experience. Every transaction is different and almost every transaction has challenges. Don’t take our word for it. Search online listings as you are reading this. Look at the bad pictures, poorly staged homes, and lack of advertising besides the typical portals. There is a clear difference between listings that stand out, the ones that you want to look at, and the really bad ones, that you are skipping over. The same will be true for your home if it is not represented in the best light possible. You only get one chance to make a first impression! Online marketing on steroids! Show your home to hundreds of thousands of potential buyers. 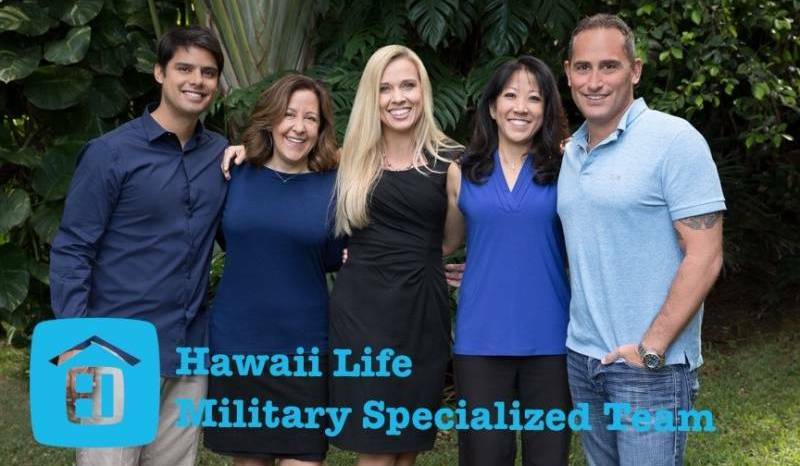 This includes Hawaii Life marketing and individual marketing efforts of the Hawaii Life Military Team. Hawaii Life is the state leader in online marketing, and the military team is very tech savvy. We know our marketing, and most importantly, WHAT WORKS! 5 Realtors for the Price of one. Sellers get a team to help sell the property! Industry contacts: escrow, title, cleaning, handyman services, plumbers, electricians, painters, etc.